Have you ever faced on Windows, where it requires Drivers to Work Properly? I have faced several times, especially after installing Windows on Laptops, I have to Install the Windows Drivers. Well, in windows, your options are clear to install drivers. Such as updating Windows, Installing Driver Pack Solution and more. But Once you installed a macOS, it requires even the bootloader Kext or driver to boot to the Operating system. Kexts stands for Kernal Extensions and kernel is the heart of Apple’s Desktop & laptop operating systems. As I said without the Kexts, your system won’t be able to boot & work properly. In other Words, Kexts are called macOS Drivers. Different hardware needs different drivers. When you configure a Kext, it will provide additional codes to the kernel, and every time you start or work, Kexts will provide that emptiness of macOS. When you are using a Mackintosh or Hackintosh computer where the default operating system is Mac, then Apple has already configured hundreds of Kexts. But if you are converting a windows PC to mac, then you will need to Install All the required Kextsmanuallyy one by one. Basically, the system Kexts are located in /System/Library/Extensions (Shortly /S/L/E) folder but the third party Kexts are located Library/Extensions (Shortly /L/E) folder. In Mac OS Yosemite, users were allowed to Install Kexts on the default Kexts location but after that, they restricted and created another location so they should damage the Default Kexts. How to Install Kexts on Mac Operating systems? Every file and program comes with a set of permissions, so does Kexts. Kexts must have 755 Permissions to load the files and work properly, if not then you have to repair the Kexts Permissions. There are multiple ways where you can Install Kexts such as the Terminal, third-party software like Kext-Wizard and Kext Utility. Think you have a Kext called Example.Kext and you are about to Install it on your system. This command will copy Kexts From Downloads Directory to the Extensions Directory, the place of third-party Kexts on macOS. Please Make sure to apply all the Commands One by one. Download and Install it on your macOS system, after that launch the Kexts Wizard and simple Browse for the Kexts which you want to Install. If you want to Install macOS 10.14 Mojave on your Windows PC or Hackintosh then certainly you must have Kexts to Enable other features of macOS 10.14. 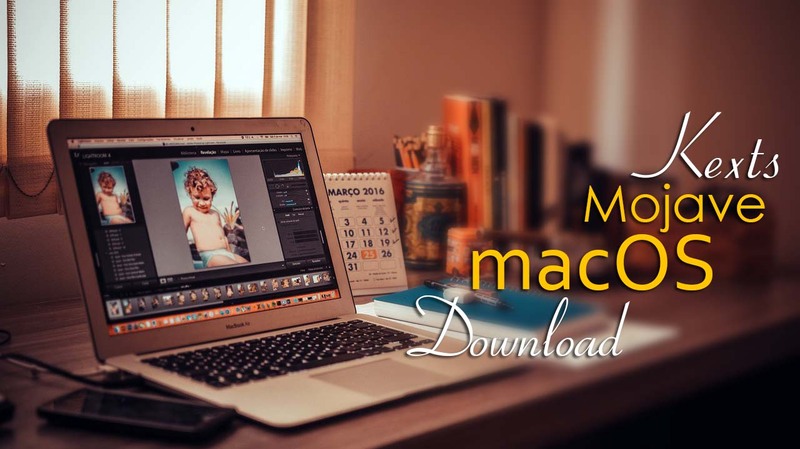 The very first thing which you must know about Installing macOS 10.14 Mojave on PC-Hackintosh, You must create a bootable USB or an Installer Media for macOS 10.14 Mojave on a Mac Operating system. However, you can create bootable USB for macOS Mojave on Windows PC too, you can use TransMac. In my experience I don’t have a good time with TransMac Becuase Every time I created an Installer media of mac 10.14 Mojave, it didn’t work. So, Instead, I used the VMware to create macOS Mojave bootable USB. It depends on you, whether you are going to use the TrasMac or not, If you want to use it then follow the below Instruction. How to Create a USB Installer for macOS Mojave on Windows? But If TrasMac Did not work for you properly then certainly you have to try the below method to Create Bootable USB for macOS Mojave on Windows. How to Create Bootable USB for macOS Mojave on Windows? Now If you want to Install macOS Mojave on PC-Hackintosh from Scratch then you need to follow the below Instructions. How to Install macOS 10.14 Mojave on PC-Hackintosh?